QuickBooks accounting software comes with many benefits for managing a business. By upgrading your QuickBooks to QuickBooks Point of Sale 2018 you can enjoy more benefits, and make your business even more exciting and successful. Upgrading QuickBooks to QuickBooks Point of Sale has become a need to better manage businesses. If you are also managing a business, you must be also aware of the importance of the amount invested and generated in a particular time span. Hence, tracking cash flow in the company gets really vital for any business. So, it is very essential that you select the best software that you can depend on. QuickBooks Point of Sale is cloud-based software and is perfect for order and inventory management. With this software you can store the data anytime and access it from anywhere, using any device. If you are running any business, it is highly recommended that you get cloud-based software like QuickBooks Point of Sale. There are countless benefits that you can get from upgrading to QuickBooks Point of Sale. It will not only help you in managing the orders and inventory but as well save you more time. Some of the benefits are highlighted below. 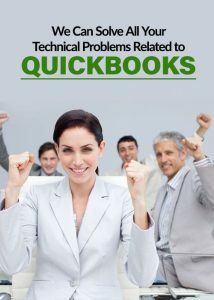 Without a doubt, QuickBooks is a great solution for managing the financial process effectively for any. It is not just a powerful inventory tool but also a sale data tool that assists to meet the specific business requirements. In addition, there are many benefits as well, with additional payment. It is essential to obtain scalable software to run a successful business. When the business develops there is an increase in business growth and employee number increases. With QuickBooks Point of Sale, you enable yourself for administrative control over those large files, you to manage up to 30 users at a same. QuickBooks Point of Sale comes with enhanced workflow to help you reduce duplicate efforts, errors, save time and money. There are various systems that can be integrated with QuickBooks easily for better results including contact information management and proprietary systems. With the growing period and strength of a business, there is also an increase in business data which needs save storage. The software has the ability to manage large files up to 1 GigaByte. In addition, it can handle over 1 lakh employees, customers, vendors, and inventory items. Time and money are the two very important factors in any business. QuickBooks, unlike other software, finishes the task quickly in a short time. With QuickBooks Point of Sale, you can access and generate particular sample reports, files, and account charts. Its advanced reporting systems enable you to store all sorts of the report including consolidated company files and reports. QuickBooks Point of Sale is easy to understand and handle as well. It comes with improved functionality to makes work swifter and simpler. The superior Inventory module enables you to keep track of the inventory from any location at any time. Hence, all these QuickBooks POS benefits ensure to make your business more efficient. For more queries about QuickBooks Point of Sale, call us at +1-800-816-6849, or email us on our email address helpdesk@bigxperts.com stating your query. You can also get in touch with us via Live Chat Support that is available on our Website.